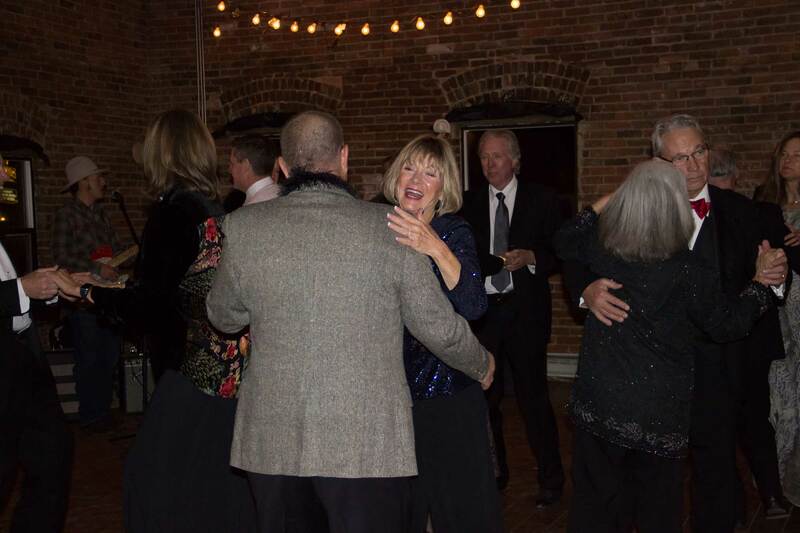 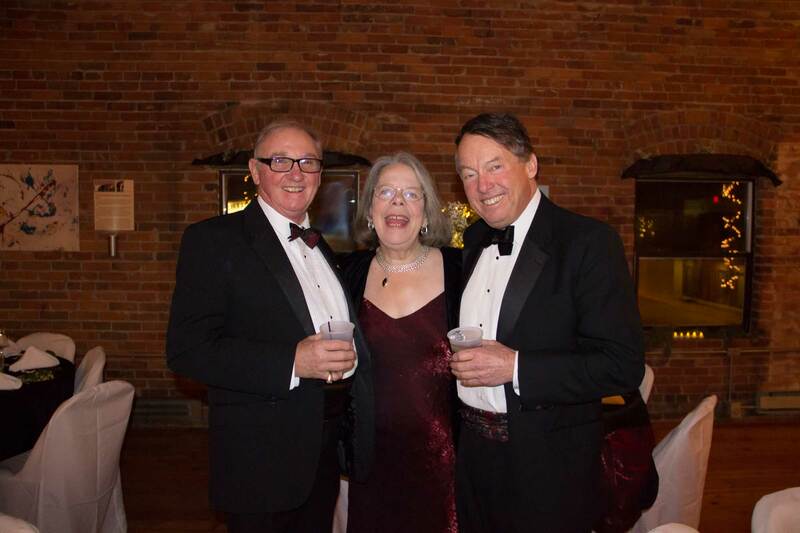 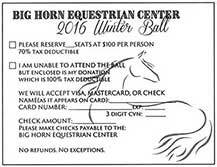 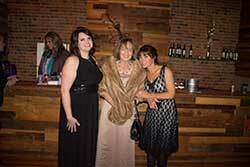 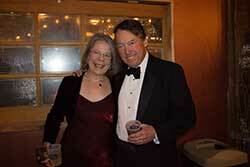 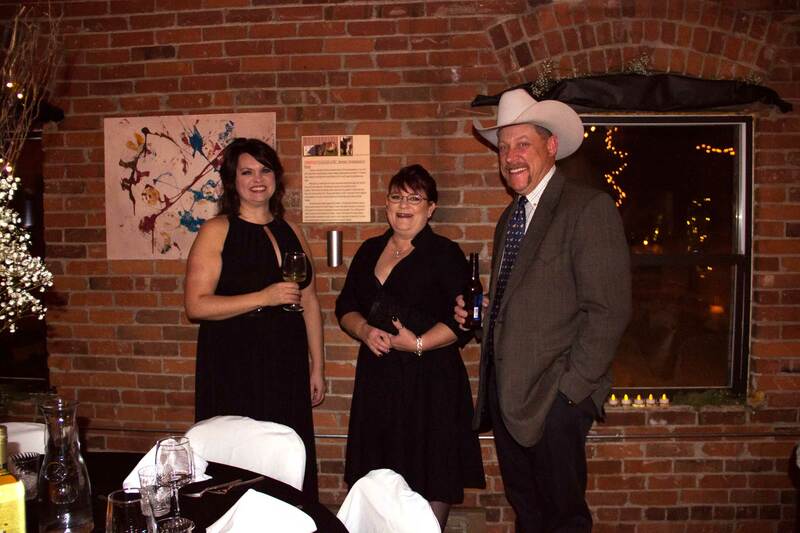 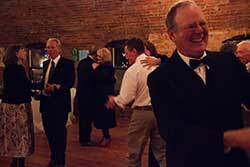 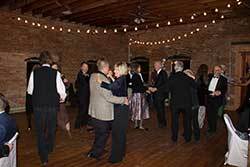 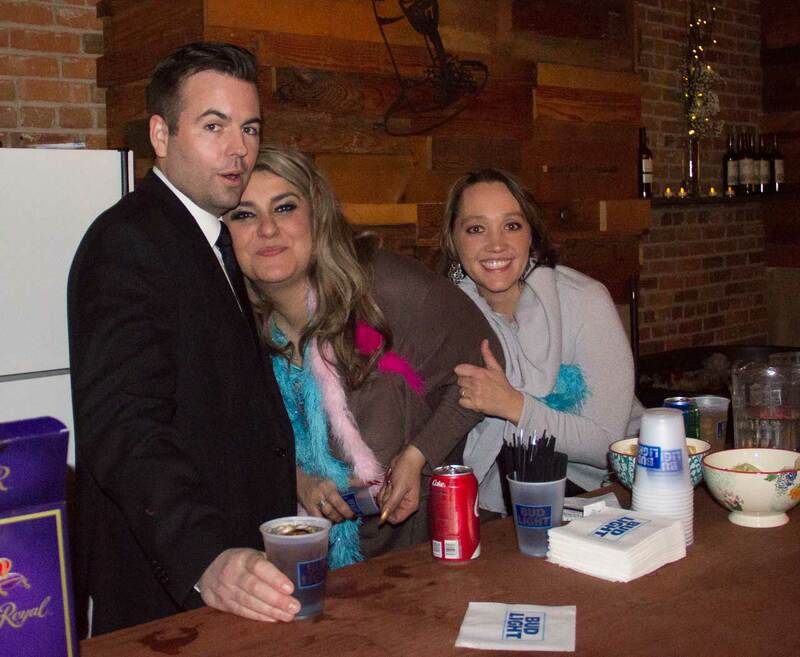 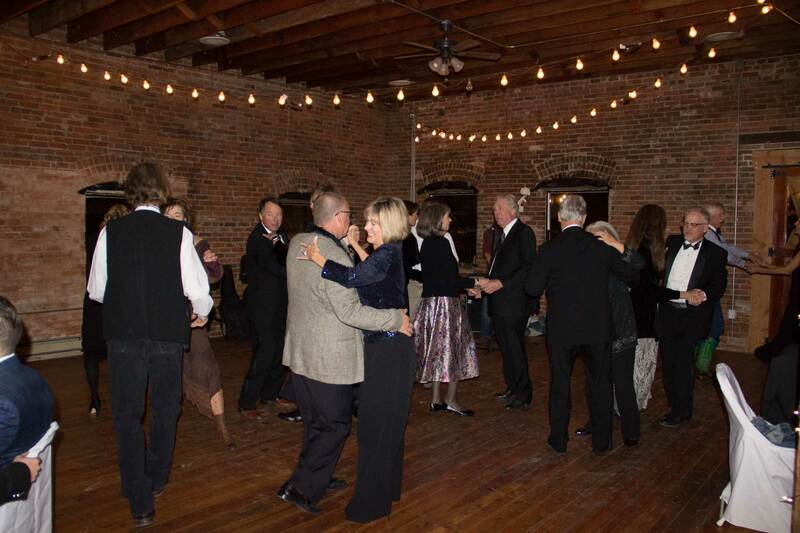 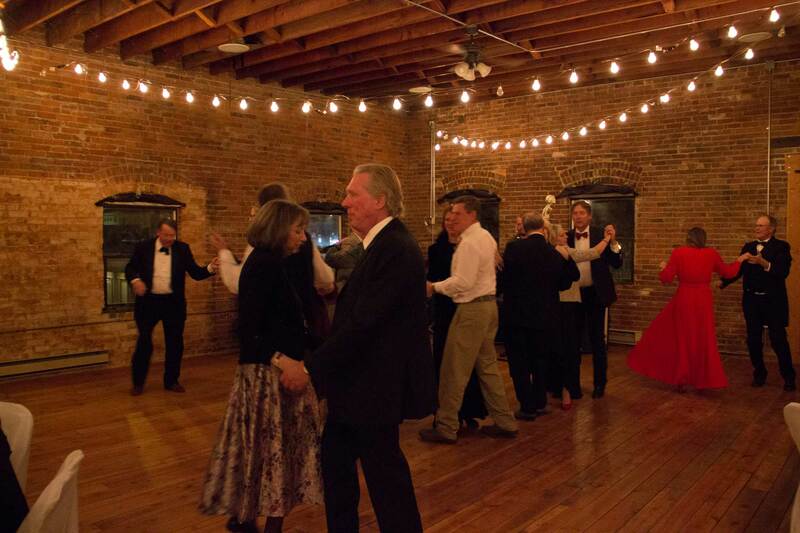 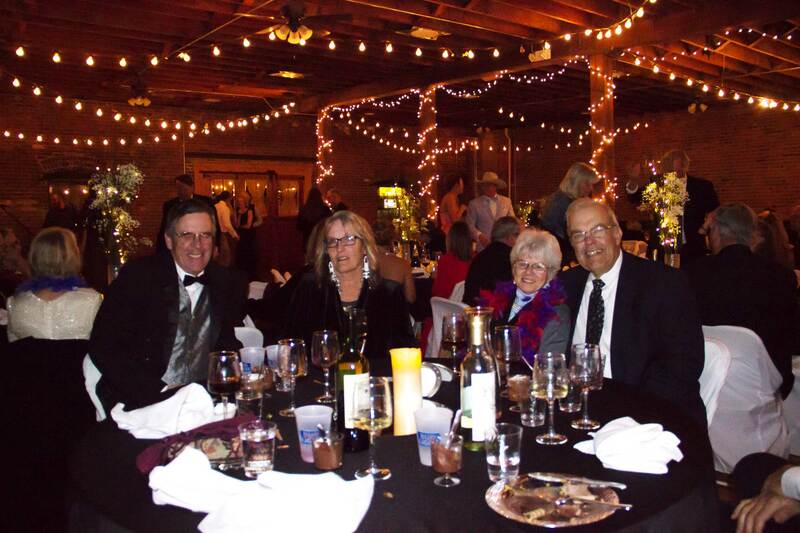 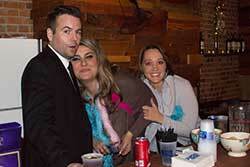 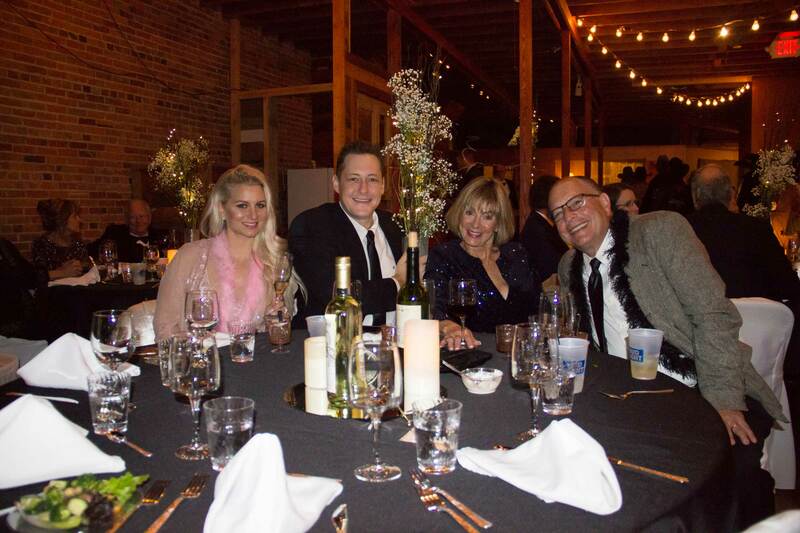 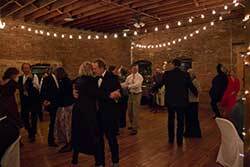 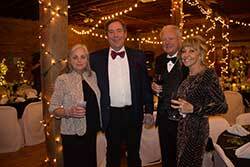 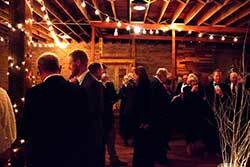 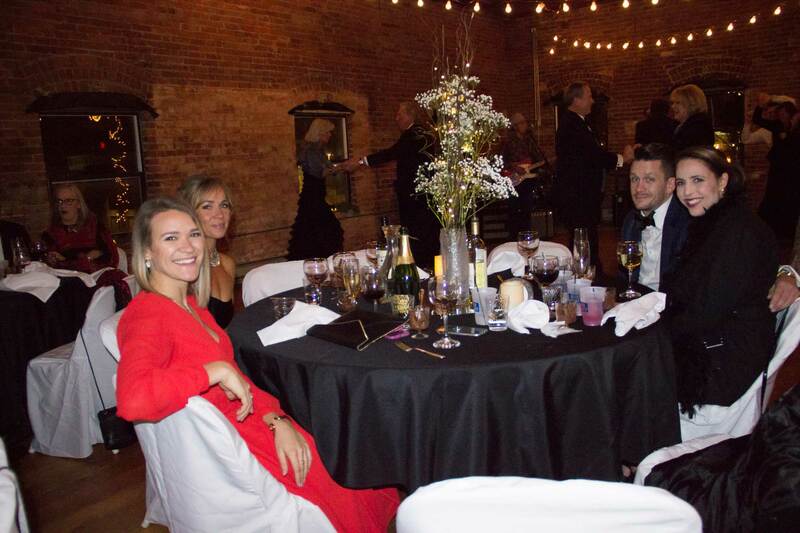 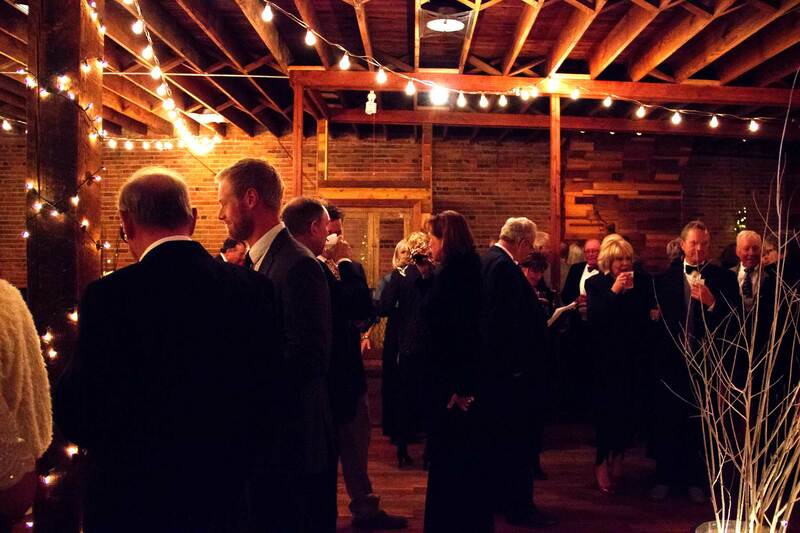 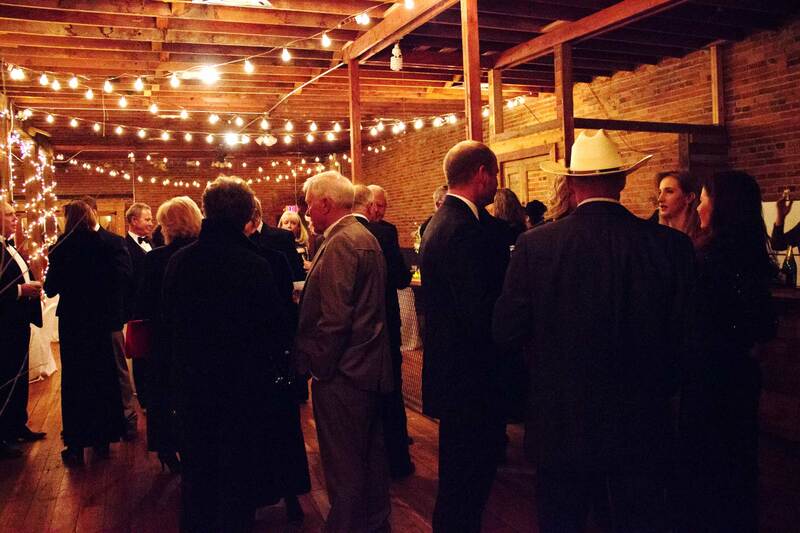 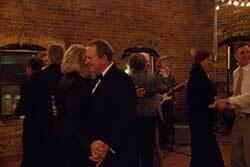 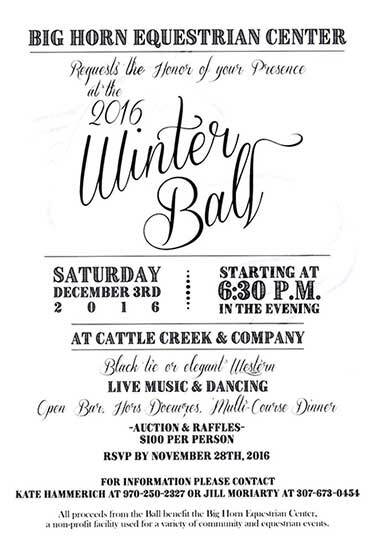 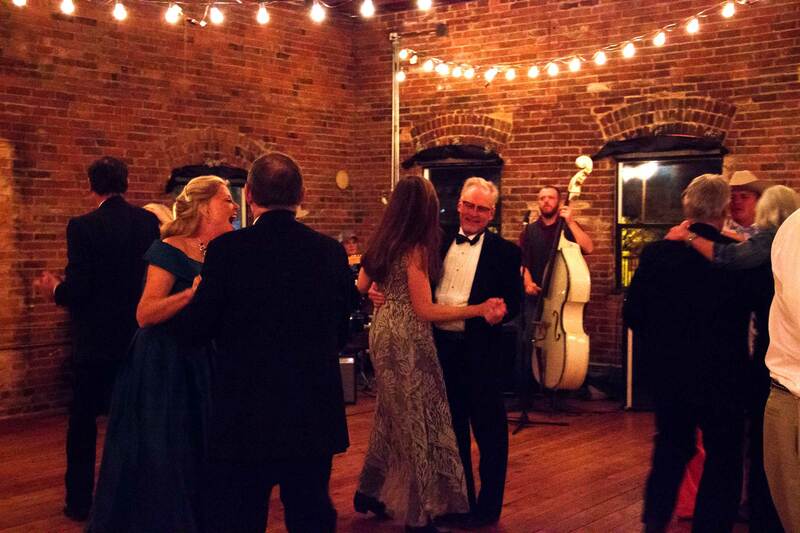 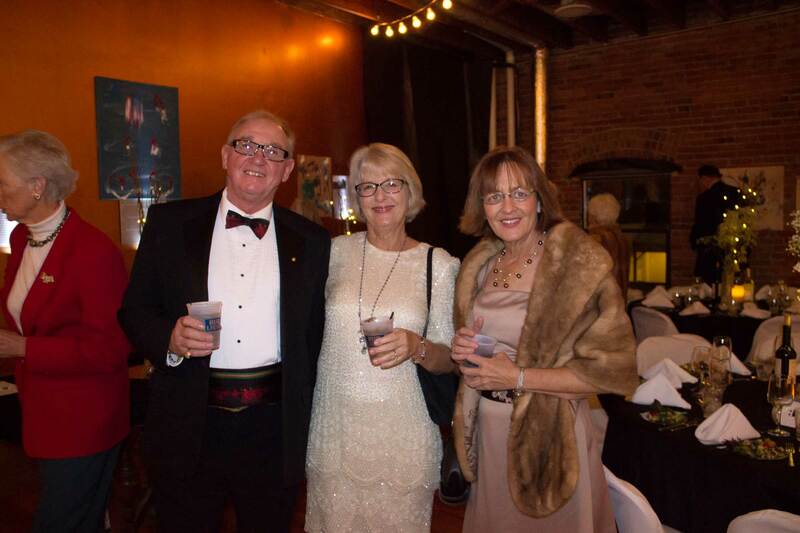 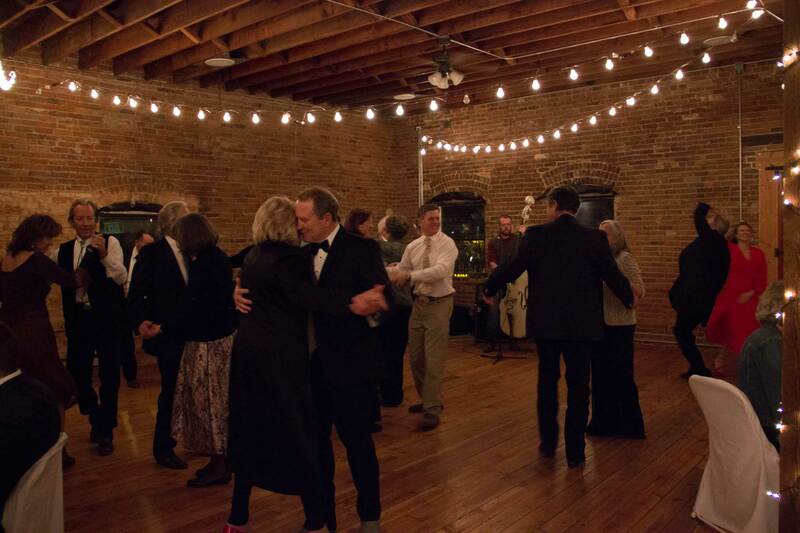 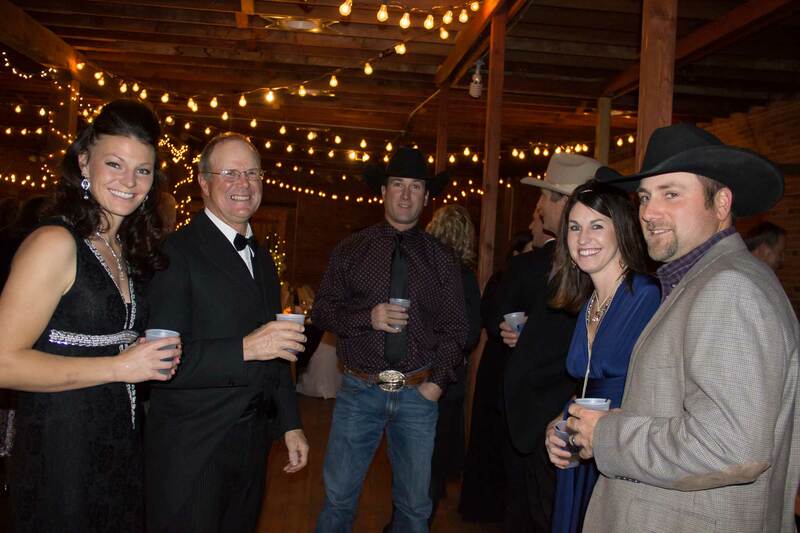 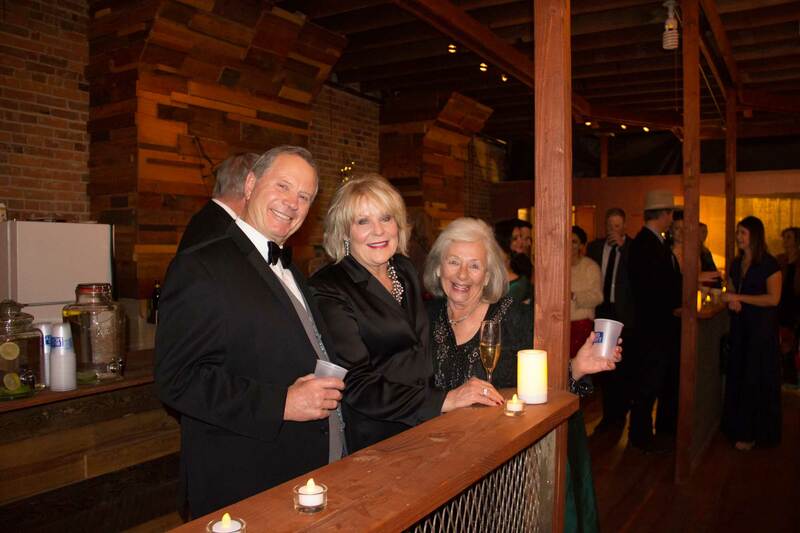 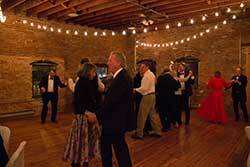 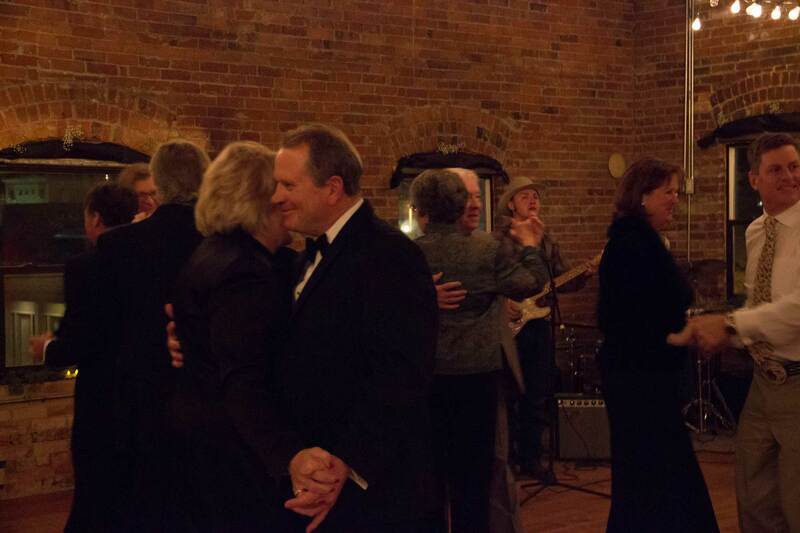 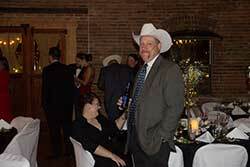 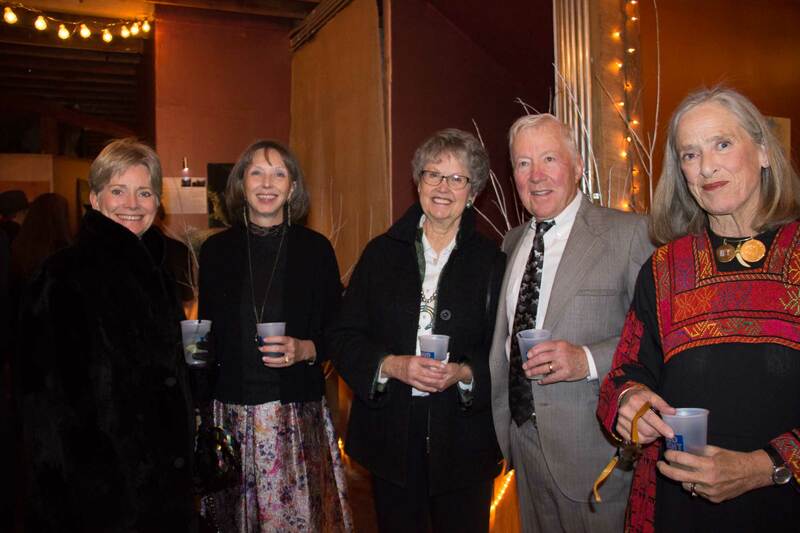 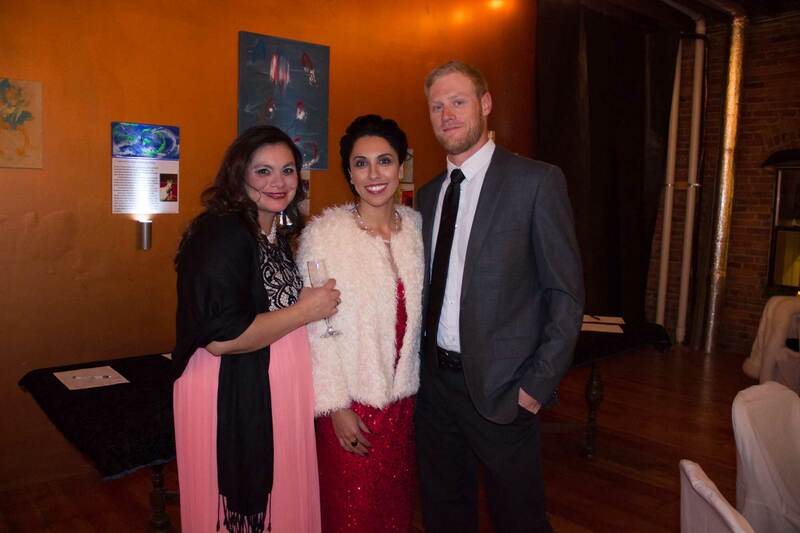 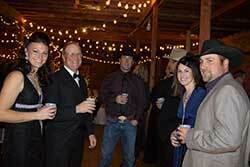 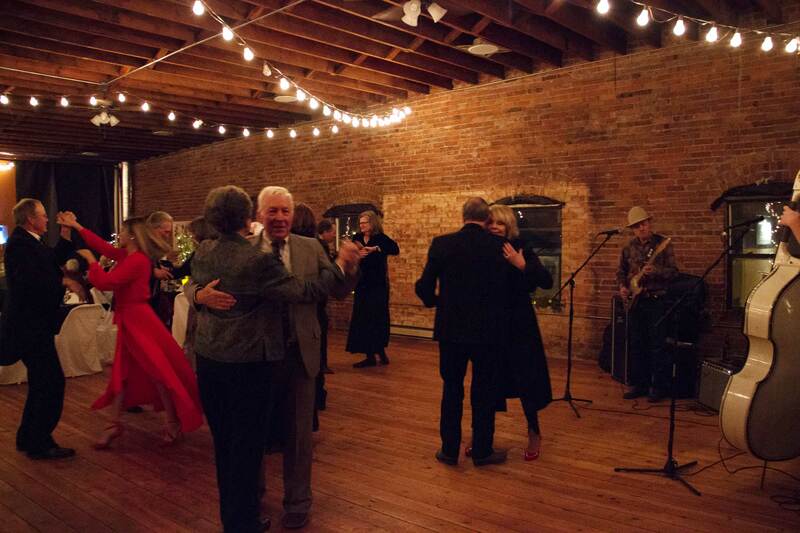 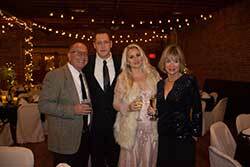 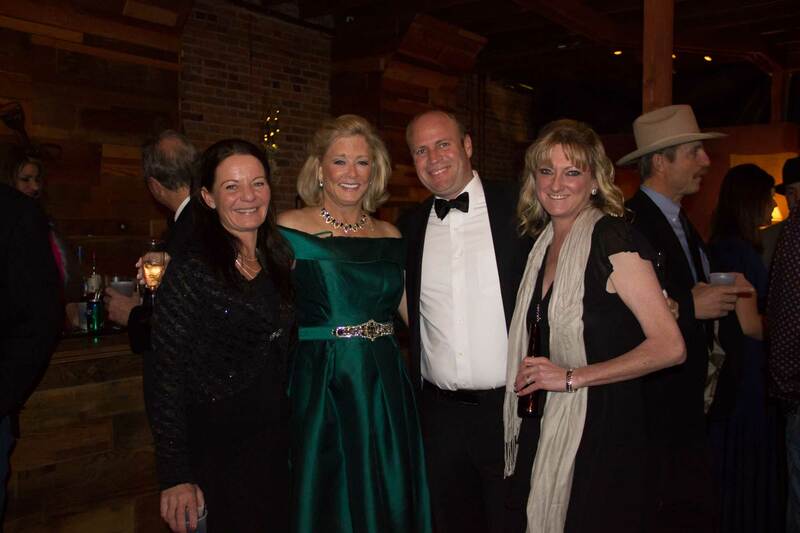 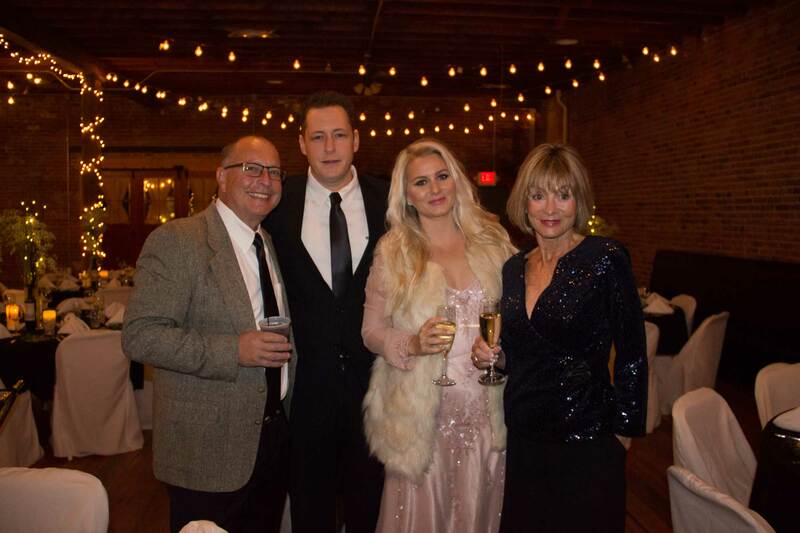 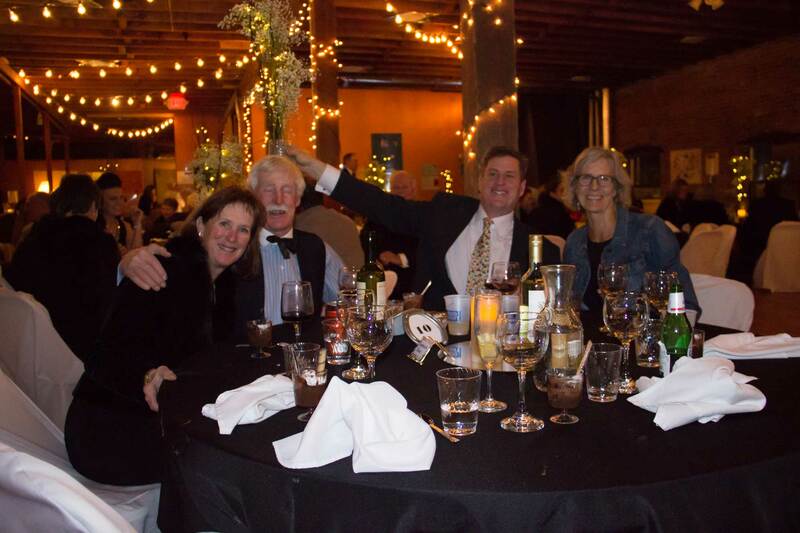 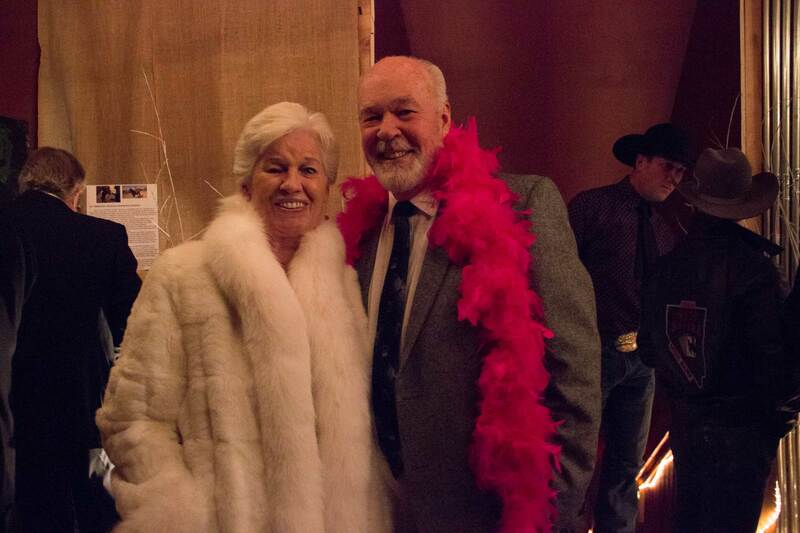 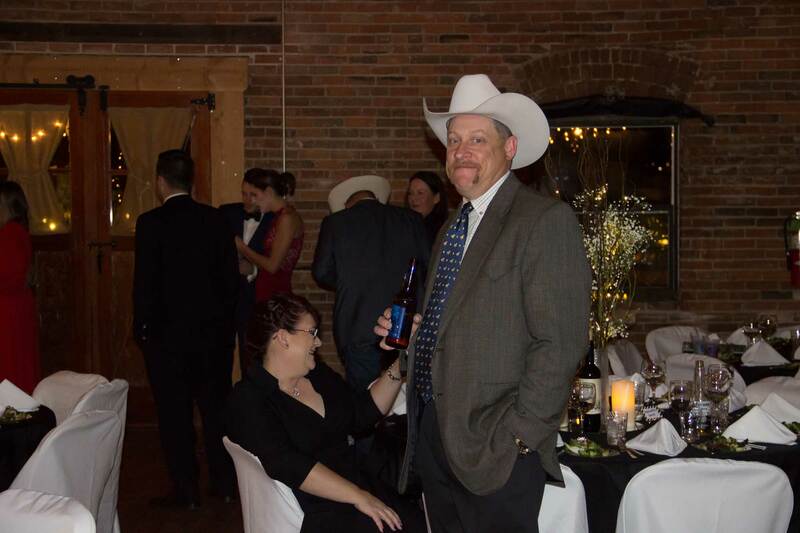 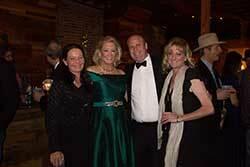 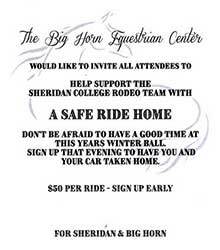 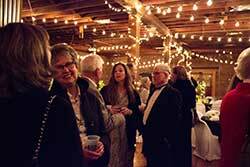 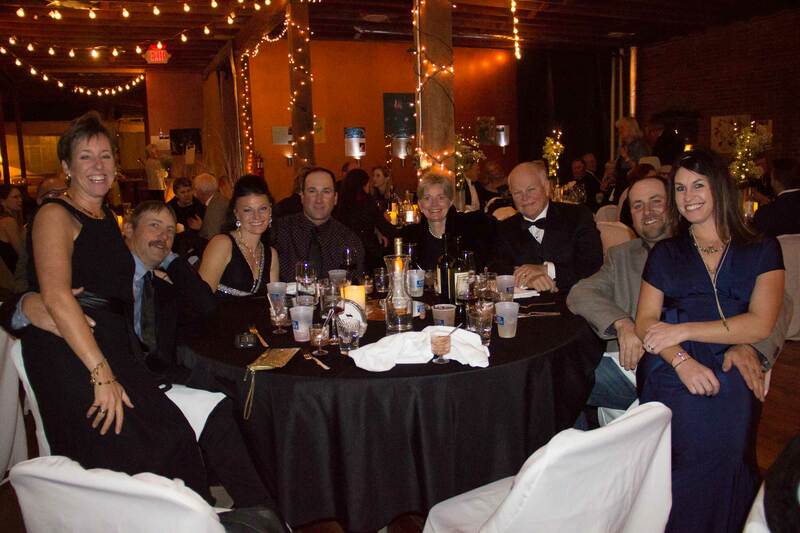 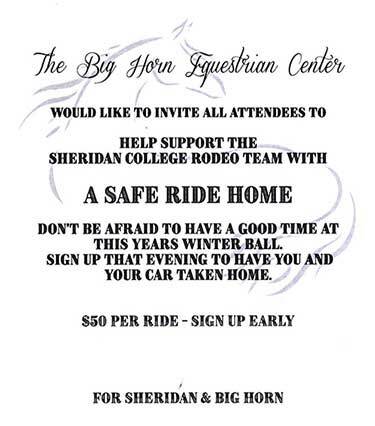 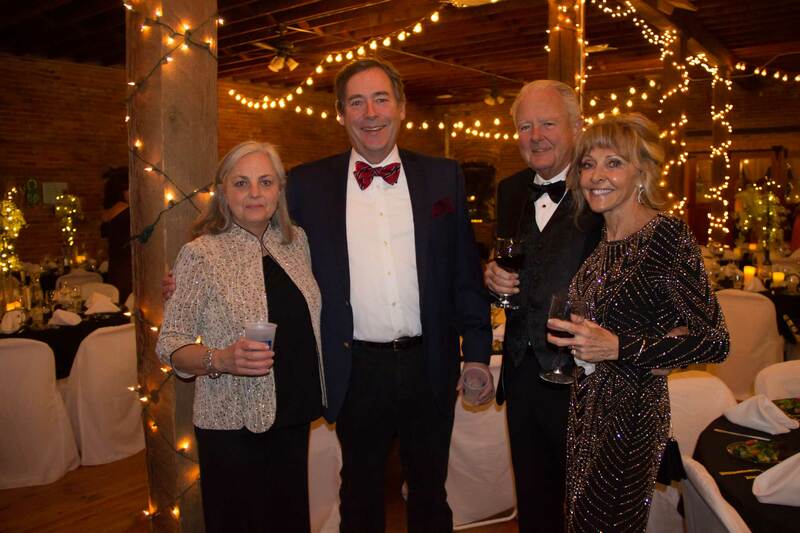 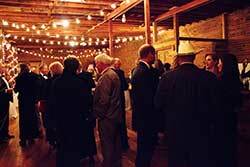 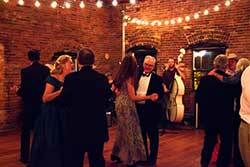 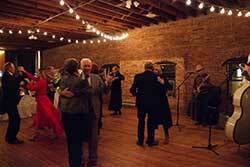 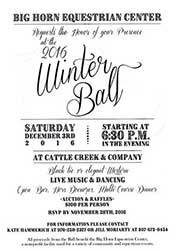 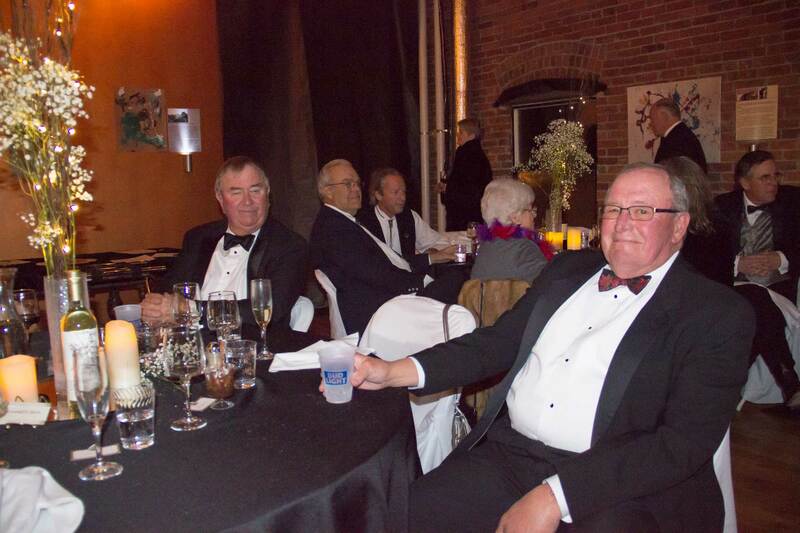 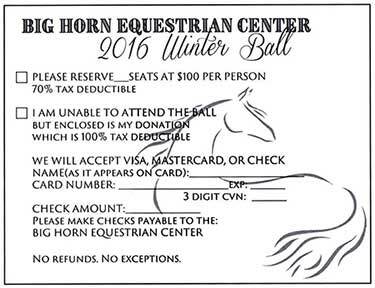 The 2016 Winter Ball had a new venue - Wyoming Cattle & Creek Company. 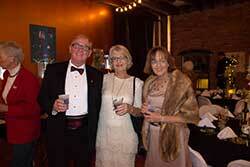 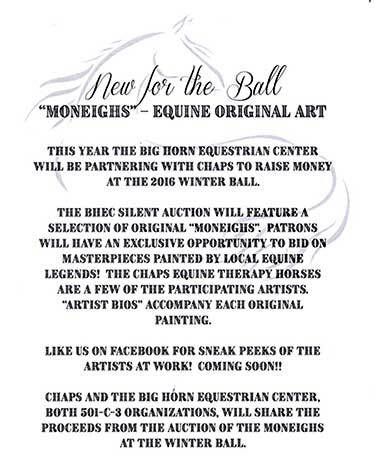 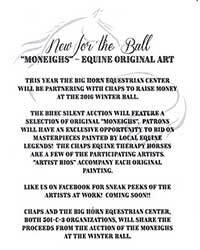 There was lively bidding on the "Mo-Neighs", original paintings by famous local equine legends. 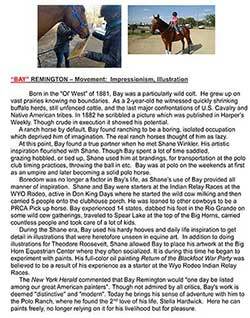 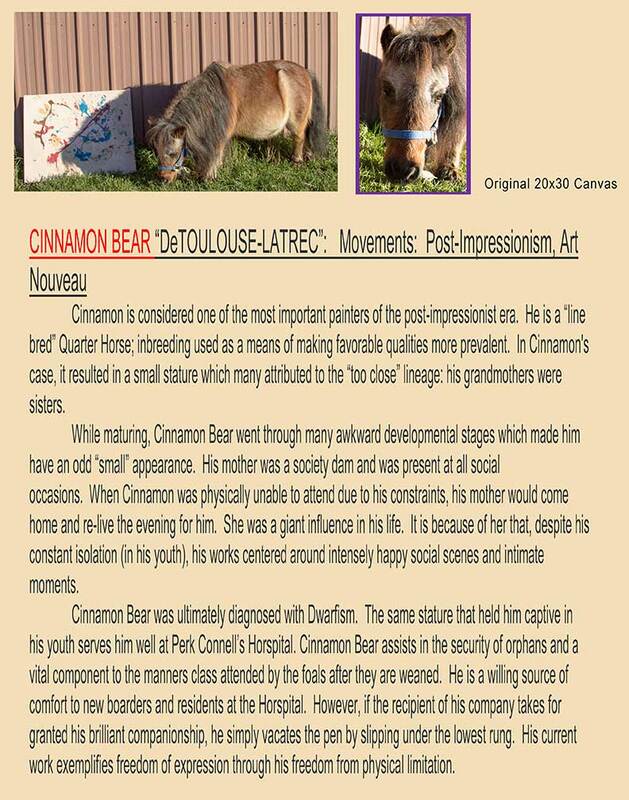 Along with the painting came the artist's bio. To download a hi-res photo (suitable to make a print), simply click on the picture. 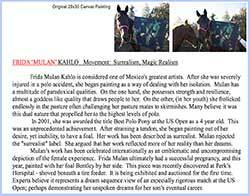 . . the photo will open in its own page, and you can save it from there. 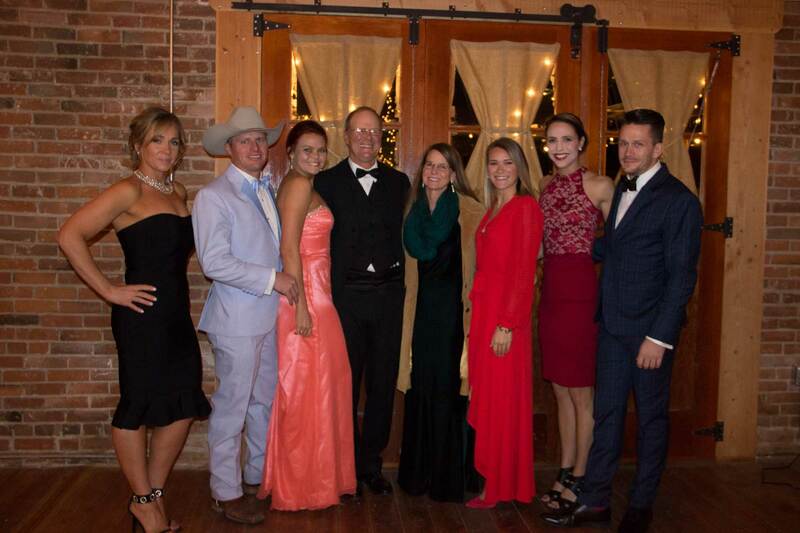 One way: right-click it. 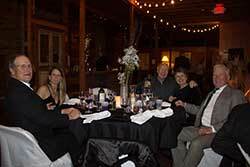 Choose "save picture as" from the menu that appears, and navigate to the folder on your computer where you would like to save your photo(s) from the Ball. Colorful and imaginative, these original paintings became the focal point of the silent auction, and drew the attention of fine artconnoisseurs all evening Here are a few examples of the paintings and the artists' biographies that came with each painting.